Richmond Six Speed Overdrive Transmission is designed for the driving enthusiast with smooth, positive, and fast shifts. This 6-speed overdrive transmission is based on Richmond's 5-speed and a touch of NASCAR proven technology. by American craftsmen using the latest CNC-machining and heat treatment. 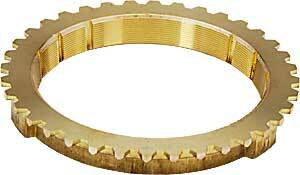 Listed below are replacement parts for the Richmond Six Speed Overdrive transmission. Please use the enclosed chart to help identify the replacement parts you need. Click to enlarge. "View" numbers below correlate to diagram.